Berlin Radio statioon SFB and Piranha Records are proud to present another fine selection of roots music recorded at Piranha Record's studios during the second "Heimatklänge" festival held in July 1989. 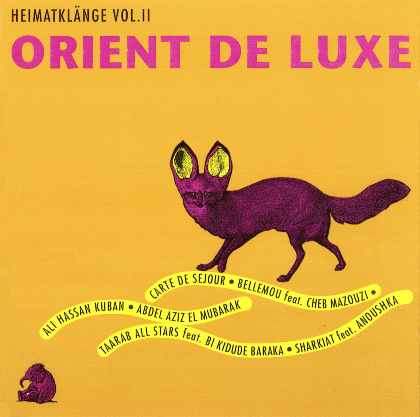 This year's event was called "Orient de Luxe" and brought musical luxury from arabic Africa to the heat of Berlin. Heimatklänge Vol. 2 feat. Artists: Bellemou Messaoud, Sharkiat feat. 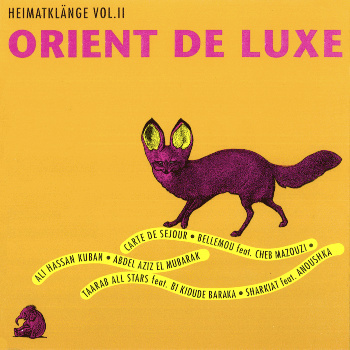 Anoushka, Ali Hassan Kuban, Carte de Sijour, Taarab All Stars feat. Bi Kiduke Baraka, Abdel Aziz El Mubarak, Cheb Mazouzi, Sharkiat.